Native to temperate areas of Europe and now naturalized in the Americas and Australia, growing along roads, in open areas, and woodlands. The plant is a sprawling, prickly shrub, growing to twelve feet having palm-shaped leaves with three to five lobes, white to pale pink flowers, and clusters of large, black berries that contain numerous edible, but crunchy, seeds. In the 1st century CE, Dioscorides recommended blackberries in a gargle for sore throats, a practice that remains today. 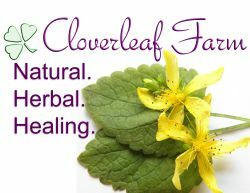 In European folk medicine, the leaves have long been used for washing and staunching the bleeding of wounds. In parts of England, arching blackberry runners that had rooted at both ends were credited with magical properties. Children with hernias were pushed under these arches for a magical cure. The Kiowa-Apache, Cherokee, Chippewa, Ojibwa, Menominee, Delaware, and Iroquois all have used decoctions to treat diarrhea. The Chippewa used a tea to treat lung conditions. The Cherokee found that the root made an effective topical wash to relieve the discomfort of hemorrhoids. Since the plant is strongly astringent, infusions are used to relieve diarrhea. As a mouthwash, it is used to strengthen spongy gums and ease mouth ulcers. The berries make a pleasant gargle for swallowing. Poultices or compresses are used externally on wounds and bruises. Decoctions are used to relieve diarrhea and hemorrhoids. The tannins in the herb, not only tighten tissue, but also help to control minor bleeding.